!! OMG, Sarah Michelle Gellar, Resse Witherspoon and Selma Blair reunite to catch the ‘Cruel Intentions’ musical together !! Our 90’s nostalgia-meter is going into overdrive! 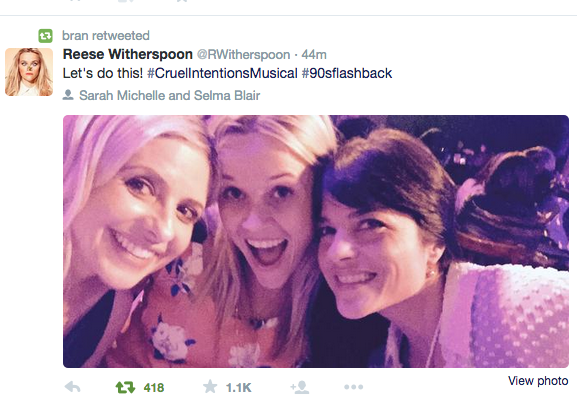 SMG, Reese and Selma all got together and Kiki-ed for Cruel Intentions: The Musical last night! 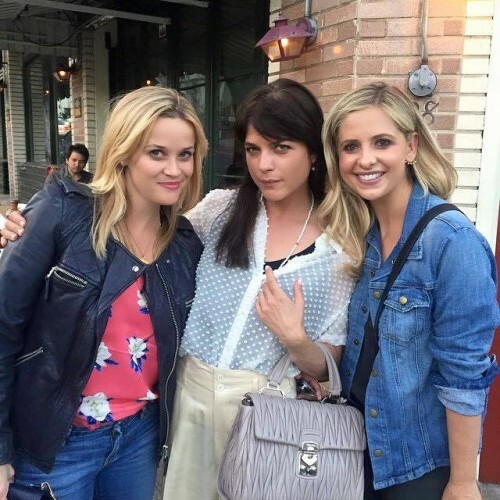 Be the first to comment on "OMG, Sarah Michelle Gellar, Resse Witherspoon and Selma Blair reunite to catch the ‘Cruel Intentions’ musical together"